The Adriatic Ionian Network of Universities, Regions, Chambers of Commerce and Cities (AI-NURECC Initiative) is an initiative of the key stakeholders of the Adriatic Ionian Regions, which have decided to join their efforts aiming at supporting the European Union Strategy for the Adriatic and Ionian Sea Region (EUSAIR) implementation, ensuring deep and broad territorial coverage, at regional and local level. 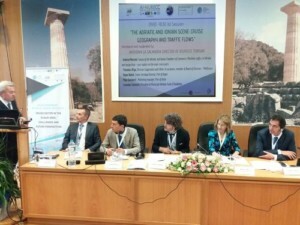 The initiative lead partner is the Conference of Peripheral Maritime Regions – CPMR. Other partners, beside the Forum AIC are: the Forum of Adriatic and Ionian Cities the Forum of Adriatic and Ionian Universities – UniAdrion and the Adriatic and Ionian Euroregion.